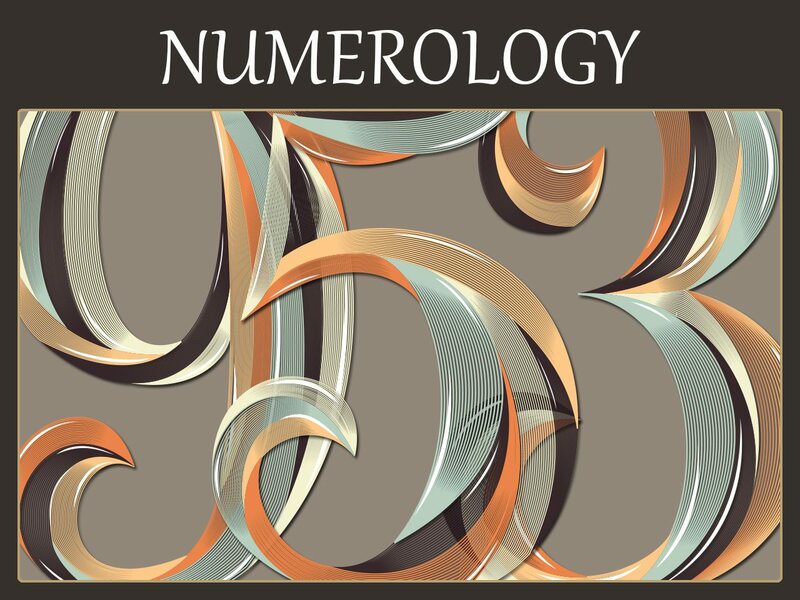 Find your Numerology Number below and click on the image or title to read all about the sacred and spiritual meanings of your life path, destiny, compatibility, and career number! If you’re not sure or don’t know what your numbers are, use my Numerology Calculator to easily find out! 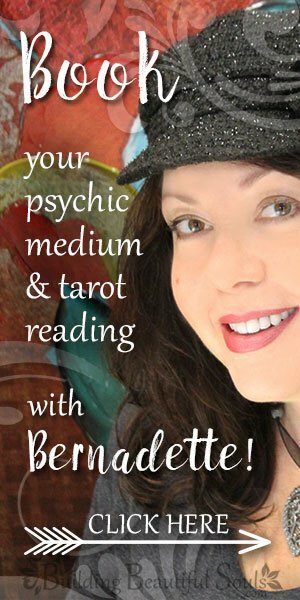 Also, scroll down or click to learn more about Numerology as a divination tool. In Numerology the single digit 1 expresses independence, individualism and aptitude. People with the Life Path Number of 1 are a force of nature – strong in their focus, brave and sometimes a bit rebellious. Spiritually speaking, this number represents the power of Creation itself. As a personality number 1s are individuals who cannot sit on the sidelines of life for even a moment. 1 always leads the charge with specific goals in mind. There is nothing without purpose for a 1. In thinking about expression numbers 1 always appears confident. There is no meekness in Life Path Number 1, nor any ambiguity for people who have the personality number 1. Like this single digit itself, 1 is straight forward and concrete in its world view. Pragmatics rule over the quixotic every time, as does justice and loyalty. The Life Path Number 1 can laugh at himself and life, and uses that coping mechanism in terms of their expectations of self and others. 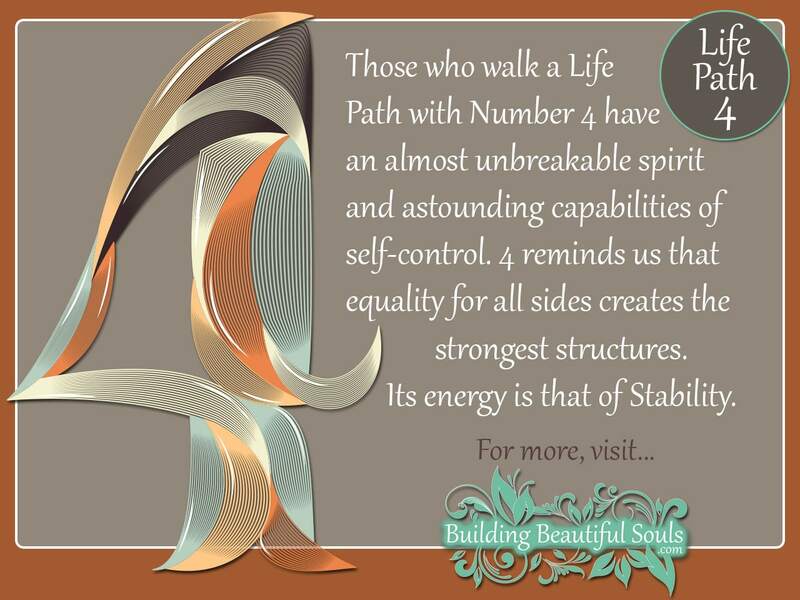 Read more about Numerology: 1 as a Life Path, Destiny, Compatibility, and Career Number! Numerologists describe the single digit Two as the ultimate diplomat and peacemaker. With this personality number, individuals illustrate patience, nurturing and very sensitive to other’s needs and feelings. As an expression number 2 is the ultimate feminine energy, a gentle giant filled with tact and discernment balancing out the Masculinity of 1. Do not mistake this tenderness as weakness. The Life Path Number 2 survives lust about everything life throws at her. In the Middle Ages a person with Life Path Number 2 would be the invaluable, wise and loyal confident behind the King. She operates “behind the curtain” where it’s easy to see the truth of human behaviors. As a result, those with personality number 2 can facilitate outcomes without anyone really knowing she’s played her hand. In this life-long play 2 calmly waits for the right time and opportunity. No matter what, 2 is an expression number that whispers of grace, refinement, effervescence and finesse that everyone admires. 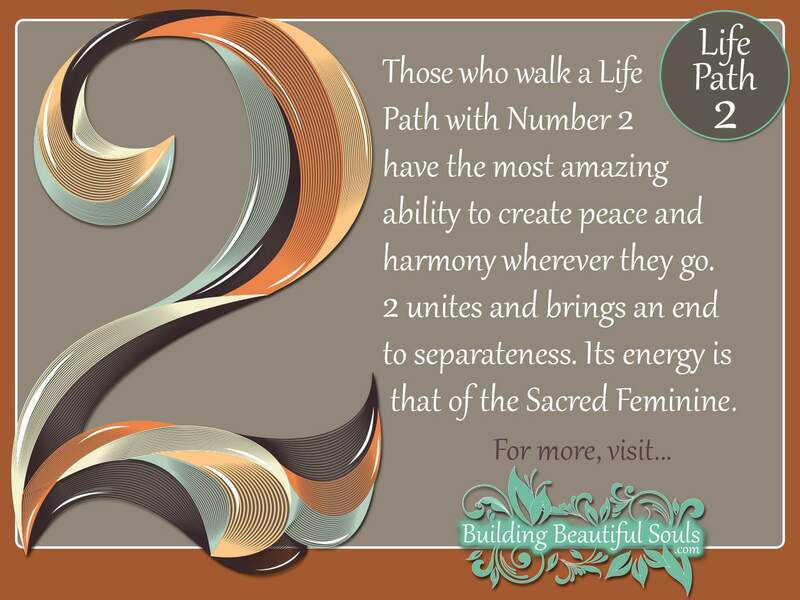 Read more about Numerology: 2 as a Life Path, Destiny, Compatibility, and Career Number! In the succession of single digit numbers, 3 is the number of artists. Those with personality number 3 are upbeat, clever, skilled and have a youthful energy that inspires even the most apathetic individuals. Nonetheless even with all that talent, expression number 3 needs some guidance on the best ways to apply all that charisma, charm and aptitude. A lot of folk naturally gravitate toward those with a Life Path Number 3, and not all of those people are beneficial. This number represents a lot of favorable traits, but these gifts require discipline. Three comprises two numbers together – 1 and 2, so it mixes masculine and feminine traits. Three can be strong and happy, while also showing emotional depth through their art. As an expression number 3 often defies the odds and seems quite lucky. A truly matured and awakened three turns away from insecurity toward self actualization. At this point, 3 has great wisdom and inner peace that is so rare. 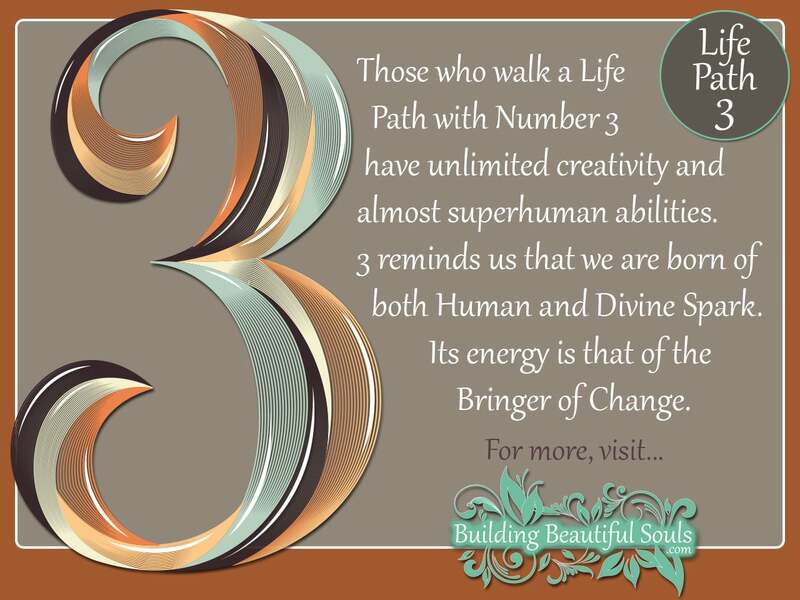 Read more about Numerology: 3 as a Life Path, Destiny, Compatibility, and Career Number! Among single digit numbers 4 is the most grounded and down to earth Life Path Number. These are the worker bees of Numerology. A personality number 3 illustrates deep devotion. They are awkward because 4 sees life in concrete terms. Number 4 represents methodology down to minutia. As an expression number, 4 strives for perfection and can be very successful in the military because of their natural discipline. Read more about Numerology: 4 as a Life Path, Destiny, Compatibility, and Career Number! In the succession of single numbers, Numerology identifies five as a fireball. Those with the personality number 5 have energy plus, love adventure and love a bit of risk in life. As a Life Path Number, 5 speaks of someone with “street” smarts, a keen mind and a wicked sense of humor. Don’t even think of boxing in someone with the expression number 5 – independence is imprinted in their soul. Even with that restless nature, once in a relationship 5 illustrates fidelity without fail. In the work-a-day world, number 5 represents on-going change. This person is not one to hold a life-long career. Repetition proves monotonous. People on 5’s life path don’t really “find themselves” until the age of 30 when something clicks. Good jobs for people with the personality number 5 include travel guides, flight attendants or other careers offering variety. No matter the setting 5 is charming, unconventional, eclectic and a bit of an oddball – but people in her life enjoy those qualities. 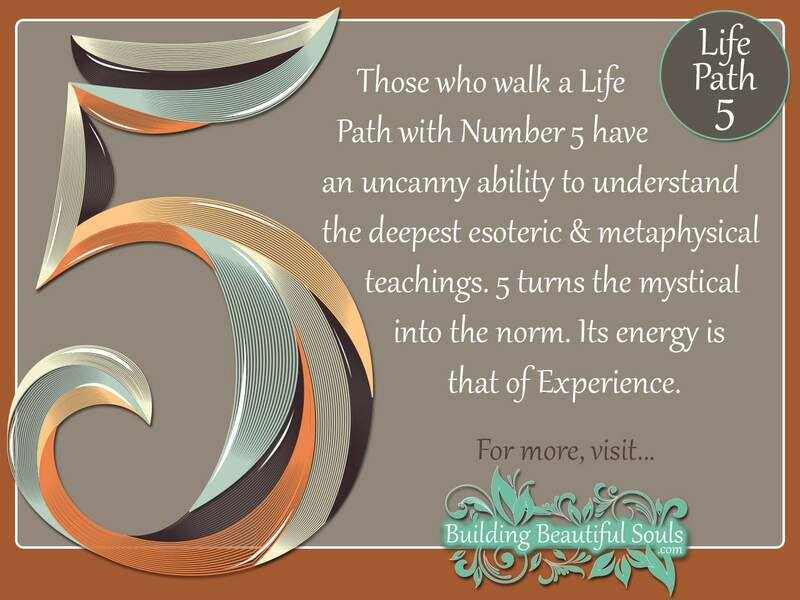 Read more about Numerology: 5 as a Life Path, Destiny, Compatibility, and Career Number! While 5 was busy moving, the single digit 6 was settling down. Numerology suggests 6 is the “mothering” number. 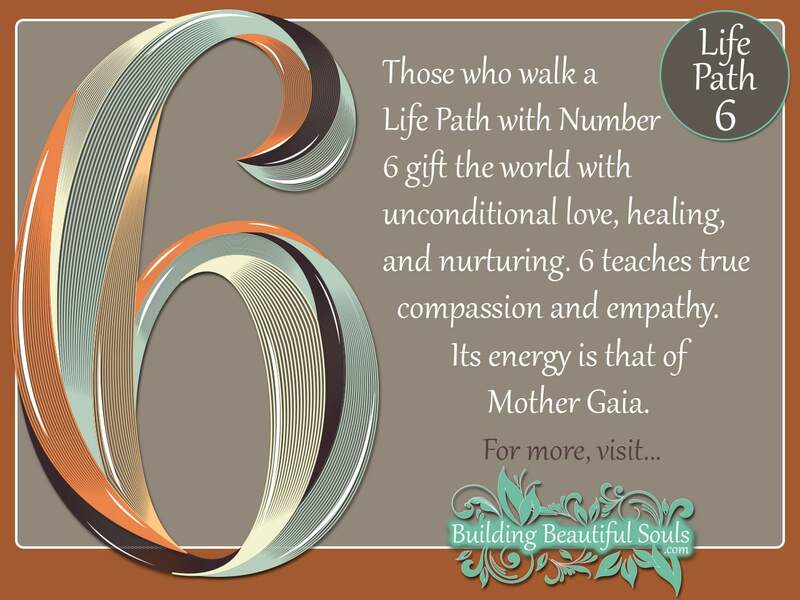 As a Life Path Number 6 resonates with responsible, sympathetic approaches to life. The language of love for those with the personality number 6 is most certainly service. These are healers, caretakers and counselors, always looking after others in need. In any group setting 6 becomes the figurative glue that keeps things from falling apart. The caution with expression number 6 is over-doing it. 6 can become a busybody. Alternatively 6 overlooks their own needs, often at great cost physically or emotionally. The number 6 represents a deep, abiding need for harmony. 6 shrinks from fights and drama, finding both distasteful. 6 will, however, step in when she sees injustice or danger particularly in those who cannot protect themselves. 6 does well in careers where they can fulfill the need to help without others taking advantage of their kindness. Even in the worst of times life number 6 remains graceful and thoughtful. Read more about Numerology: 6 as a Life Path, Destiny, Compatibility, and Career Number! 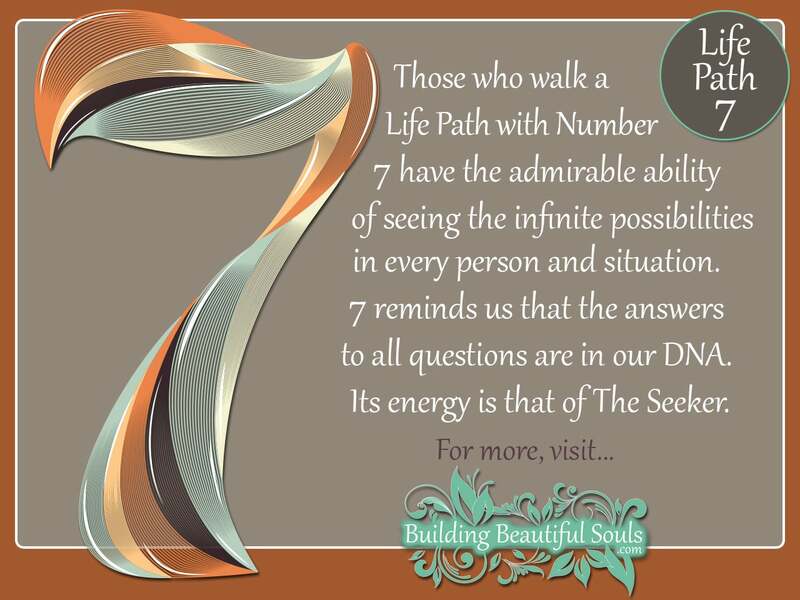 If the single-digit personality number 7 had a mantra it would be “seek and you will find.” 7 has an insatiable curiosity combined with intuition and analytical ability. There is nothing truly simple to those walking the life path 7. In Numerology the number 7 represents the ultimate truth – superficial reality is just that – cursory and filled with illusions. That makes 7 socially awkward. It’s hard to insert ideas about BIG age-old questions at lunch time conversations. Those with personality number 7 have no time for phonies and trite conversation. They prefer settings where logic, methodology and facts create the groundwork for action. 7 struggles in their life path because they seem like a know-it-all. This person can tell you odd sound-bites of knowledge until your eyes glaze over. 7 as an expression number craves solitude where they can think clearly. 7 rarely ponders spiritual wisdom, but when it comes to mundane matters they’ve cornered the market. Read more about Numerology: 7 as a Life Path, Destiny, Compatibility, and Career Number! 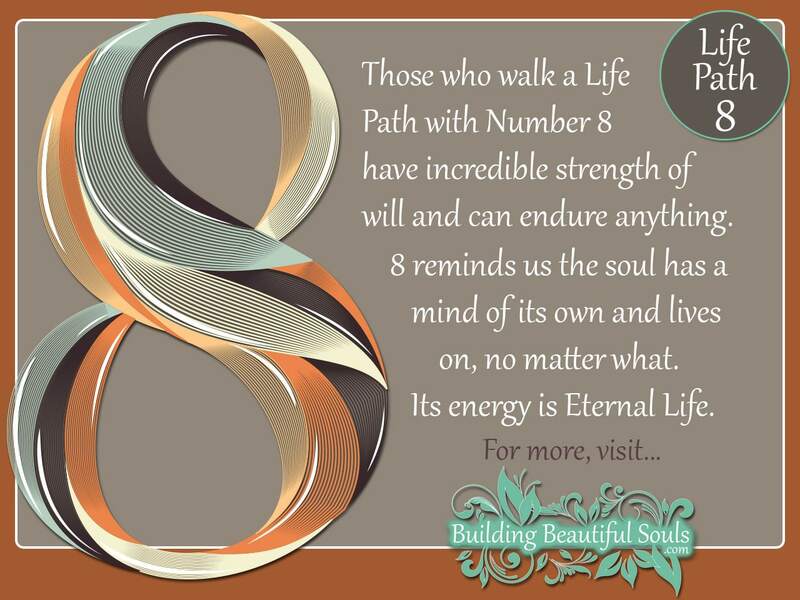 Numerology reveals the Life Path Number 8 as one of balance. Between life and death, thought and action, detachment and possession – there is a middle ground 8 strives to reach. 8 as an expression number brings natural success forged by realistic goals. 8 emphasizes a person’s career and finances. Among single digits 8 measures people better than most, which certainly helps in business. People born with the Life Path Number 8 face challenges of equality. They must live their truth or suffer the consequences of ignoring their personal power. 8’s gain great wealth and loose it more than once in their life, but flourish nonetheless. Among the single digit numbers 8 understands the importance of the material world as well as the spiritual one. Thus, 8 is generous with their finances often using that money for humanitarian causes. They fare well in positions like fund raising and wealth management. Really all jobs where they are an authority figure turn out positively. Read more about Numerology: 8 as a Life Path, Destiny, Compatibility, and Career Number! The last of the single digit numbers, Numerology tells us that 9 sees the big picture. The phrase “think globally” is central to 9s mindset. As a personality number 9 illustrates sophistication, cooperation, inventiveness, confidence and generosity. 9 knows their role in the world, and applies that through mindful action. 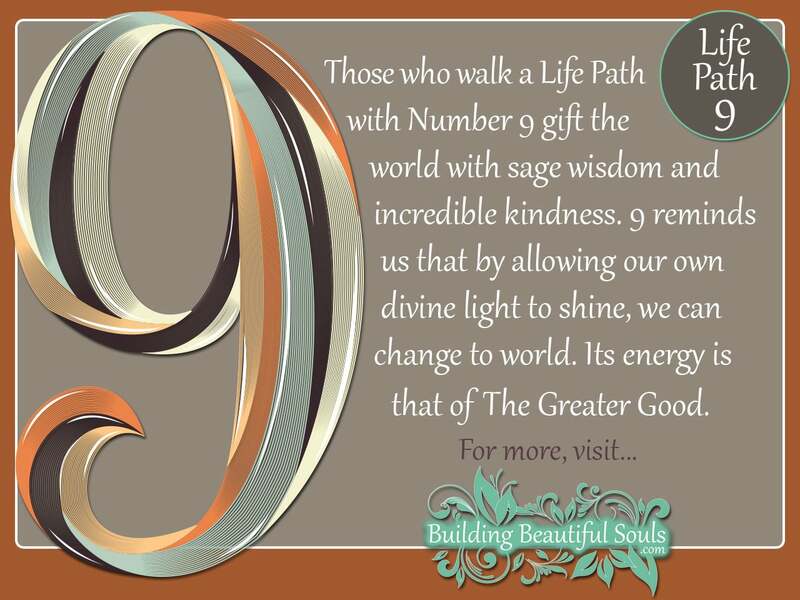 The life path for 9 is filled with an abundance of compassion that never wavers. As an expression umber, 9 reflects feminine undertones. Love, nurturing, giving – 9s have these attributes in spades. The vision of humankind in 9s reality is one where all things connect; all things matter. 9 will not abide any form of suffering, and puts energy toward resolutions. This type of action is typical of life path 9, seeking no credit or reward other than seeing life improved for others. In the process 9 sometimes hides hurts and fears tucked neatly behind efforts for the next cause. The best friend to a 9 is one who challenges those walls and creates openness. Read more about Numerology: 9 as a Life Path, Destiny, Compatibility, and Career Number! In Numerology 11 is considered a Master Number. If you think of the energies of a life path 1, doubled you begin to understand 11. Those with personality number 11 are highly intuitive and dynamic. Every day 11 finds ways to challenge themselves to higher aptitudes mentally, physically and spiritually. The number 11 represents an elevated awareness that manifests in highly accurate psychic talents including healing and prophesy. 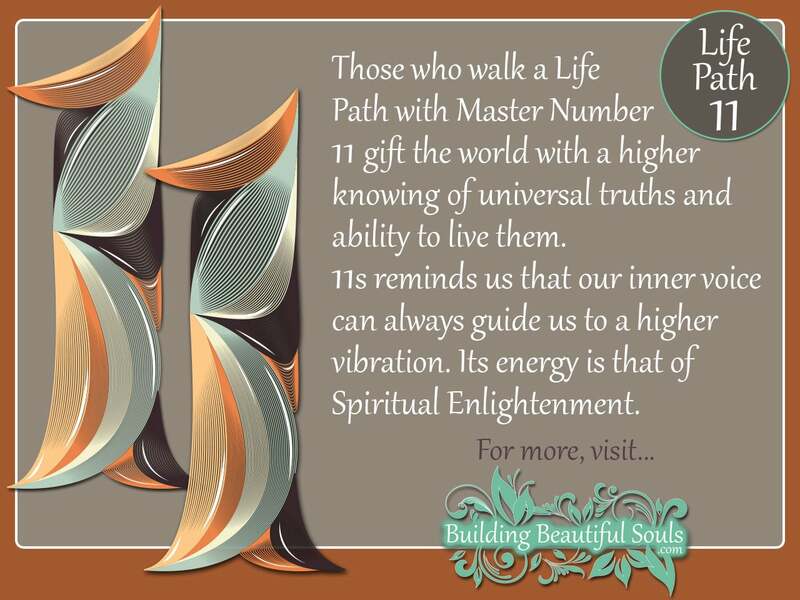 Light Workers tell us that expression number 11 is that of an old soul with great wisdom. People on 11’s life path are on a mission. Their vision is broad and idealistic. The goals of personality number 11 are sometimes too lofty; they require foundations and patience. With those in place, the vibrations in and around 11s life move steadily higher. These are the light-bringers and peace makers. In achieving these ambitions and to maintain empathy, 11 must remain open and vulnerable. This hyper-sensitivity makes expression number 11 one that succeeds in careers that require close observation, being in nature or any job that feels liberating. 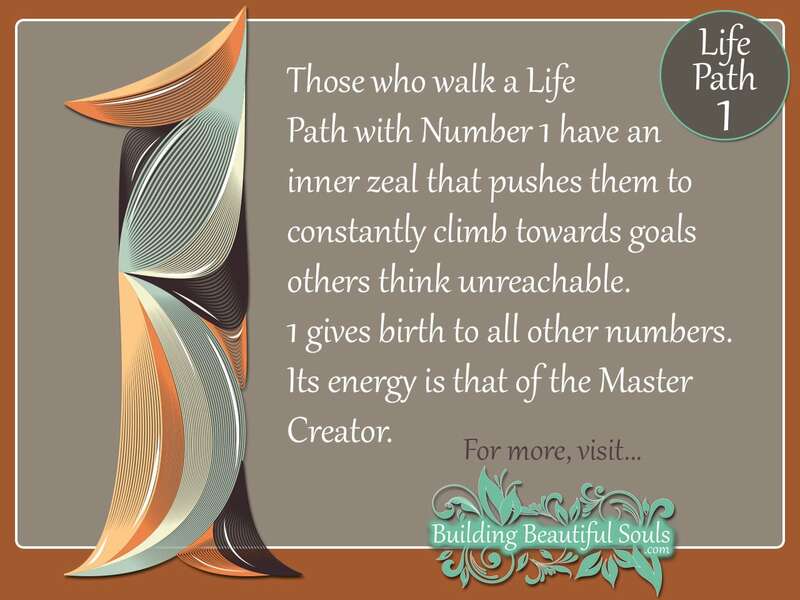 Read more about Numerology: Master Number 11 as a Life Path, Destiny, Compatibility, and Career Number! 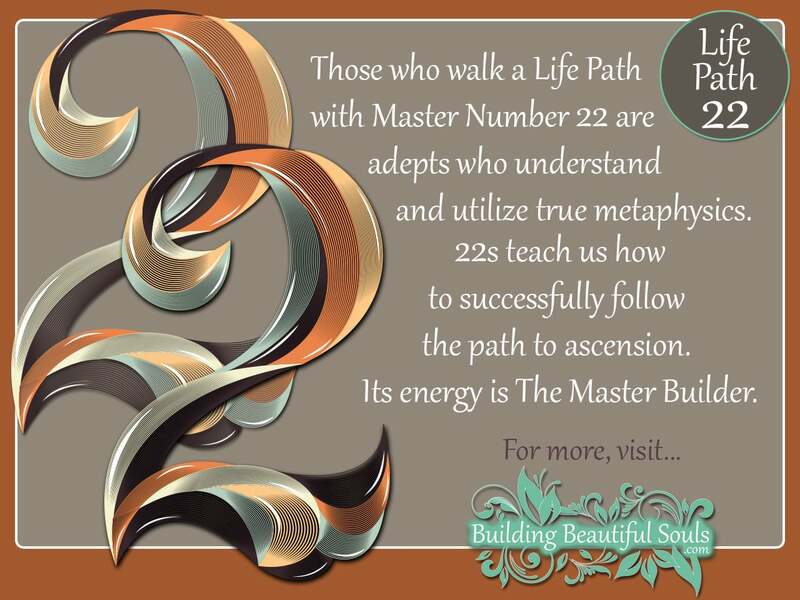 Numerology paints the Master Number 22 as the ultimate architect energetically. People with the life path of 22 can take a little spark of hope and turn it into a bright shining reality. Like 11, 22 pairs numbers together – namely 2 & 2. This gives 22 four times the power of Master Number 11 and it packs a whollop not to mention having intense culpability attached. One might think of Master Number 22 as an archetypal expression number that produces harmony and encourages on-going communion with the Divine. Early on, those with personality number 22 benefit from regulating stray thoughts, being that they can manifest ideas in reality. Light Workers believe that people born with Master Number Eleven may well be ascended teachers who choose returning to Earth to pave the way for human enlightenment. That’s a huge task, and one in which life path 22 benefits from supportive friends and family. For careers expression number 22 implies success in scientific studies, research and any field with elements of design. Read more about Numerology: Master Number 22 as a Life Path, Destiny, Compatibility, and Career Number! From the time we learn to talk, numbers become part of our daily reality, pulsating in the background of life. You have birth date, a social security number, a house number, shoe sizes and hat measurements. The list goes on and on. The all-pervasiveness of digits alone gives us a sense of their importance not only mundanely but spiritually too. 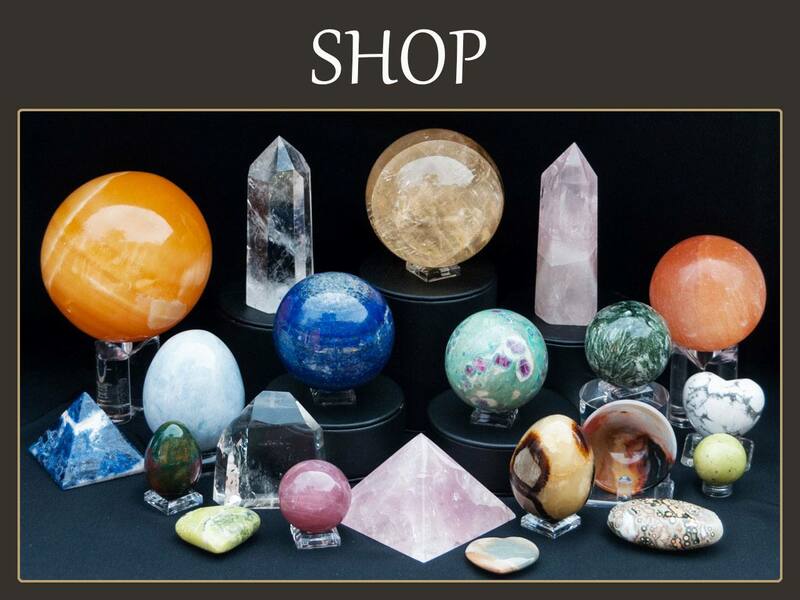 Ancient seers and modern Lightworkers both sense specific vibrations in numbers, a kind of arithmetical language that keys into other symbols, signs, omens and patterns of the Universe itself. The principle behind Numerology is that everything in this world has a type of energetic fingerprint – including you! Throughout history philosophers, gurus and guides have classified these fingerprints so that we can begin consciously embracing the configurations that give us clues to the meaning of life and our role as spiritual travelers. With numbers specifically, the thought is that the time of your birth creates certain possibilities and limitations, a framework of personality. Once you know the black and white outlines, you can still color outside them, but the lines are the starting point for enhancing everything in your life including careers and relationships. Here, grab some crayons and let’s look a little closer. A learned Numerologist will never tell you that your birth day numbers wholly define you (heck, we all stop aging at 25 right?). While most people in the Western world use the traditional Pythagorean approach to number symbolism and meaning, there are other methods that don’t follow Pythagoras’ whatsoever (if they even ever heard of the guy). So we have to allow for some mindful wiggle room in presenting these emblems and the beliefs about the way they impact our lives. The basics of Numerology aren’t overly complex. Each letter in your given birth name has a number to which it corresponds. By adding up these numbers in different ways (your full name, just vowels, just consonants or the numbers in your full birth date) you end up with a profile of attributes. Some of the symbolism challenges you, some supports and facilitates – but ALL of it depends on how you apply the information. Some people have gone so far as to legally change their names to alter the vibrations in their Numerological construct. Should you be thinking of this, remember the old saying about being careful what you wish for. To make such a dramatic change it’s not as simple as just changing an “I” to an “E” (except after C). You have to (a) know what you want and (b) get ready to work for it. Unless something dramatic happens in your reality that would support a numerological transformation, the grass may not be greener with a new name at all. Before we go further with our examination you might be interested to know that Numerology has been used in some surprising sectors. Some brokers use it in predicting the stock market. Others use Biblical numerology in an effort to secure prosperity. The artist Prince used four digits in naming his albums and even in the way he priced tour tickets. Are Numerology Numbers Male or Female? By their very construct, numbers represent order. One of the orders of life is gender – namely male and female. It’s thought that odd numbers are masculine and even numbers have feminine characteristics. Mind, you there’s some blurring here so consider this a very general observation and one that skims only the very surface of the information Numerology provides. While there are neato gadgets and gizmos aplenty on the Internet that are considered “Numerology Calculators” we do not use them because they are based on algorithms we have not been involved in making and this means we can’t verify their accuracy. Further, the ones we know about are very generalized and we believe when a person is working on Building their own Beautiful Soul that specificity should count. When we really started digging deep into this Numerology stuff, we were flipped out at how quick and easy it is to add up your own sacred numbers. By doing so, when you read about the meaning of those numbers the symbolism and spiritual messages will be the right ones. It literally takes like just a few minutes so read our simple instructions and become your very own Numerology Calculator! Numerologists feel this number is most important. This number is based on the date you were born, including the year. It resonates with your karmic mission in this lifetime. This is the number that has to do with goals, talents and physical / emotional wellbeing. You obtain this figure by assigning numbers to each letter of your entire name. This number gives a peek into your secret longings and motivations. Get this value by adding the numbers associated with only the vowels in your name. This number is what you show to the world and it’s obtained by adding the consonants in each part of your name, reducing those parts to a single digit, adding the two or three together again, and reducing again. This number is the comparing of partner’s Life Path Numbers so as to glean potential relationship success and stumbling blocks. By using bits of information from all the sub-categories of Numerology one can get an good idea of the career they are best suited for and insight as to what their Soul Contract might be as well. Numerology has a long history in places as far removed as Egypt, Israel, India and Greece just to name a few. One philosopher named St. Augustine (354-430 CE) told us that numbers were a universal language from God. He and Pythagoras had much in common. Both sought to connect numbers to not only the human mind but the interrelationship of all things. Proponents of Numerology appeared in every era, but it was around the mid-1800’s that we start seeing a more socialized aspect. Akin to the way the Language of Flowers grew as a silent communication system between lovers, you might find people talking over tea and cookies about the finding true love by using the numbers from their name or birth date. The key numbers for these divinatory efforts were 1-10, but there were also master numbers – 11, 22 and 33 (ones that appear in the I Ching, the Tarot, Runes and the Kabbalah).